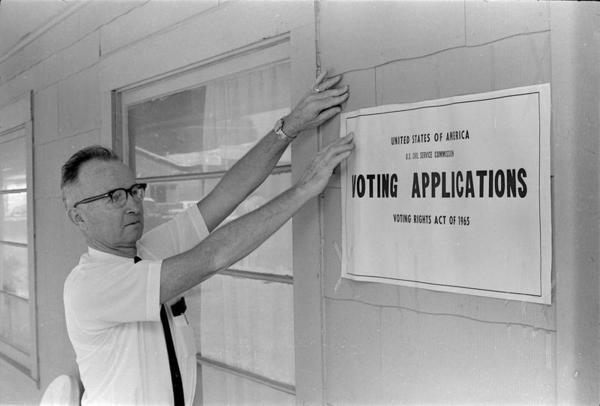 Description: Voter registration August 25, 1965, at the Magnolia Motel in Prentiss (Miss. ), following passage of the Voting Rights Act of 1965. Federal examiner C. A. Phillips posts sign outside rooms secured by a federal court order for voter registration.